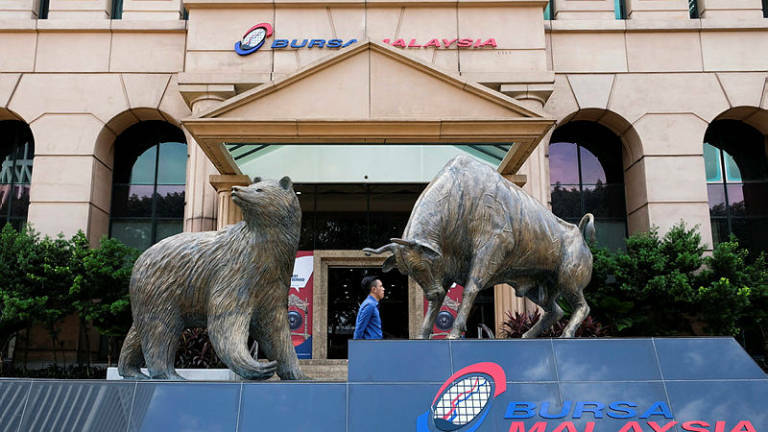 16 Apr 2019 / 10:28 H.
KUALA LUMPUR: Bursa Malaysia eased at the early session today in line with the weaker overnight performance of Wall Street. The benchmark FTSE Bursa Malaysia KLCI (FBM KLCI) eased 0.02 of-a-point to 1,631.31, after opening 0.25 of-a-point higher at 1,631.17. On the broader market, decliners outpaced gainers 198 to 142, while 235 counters remained unchanged, 1,313 untraded and 19 others suspended. 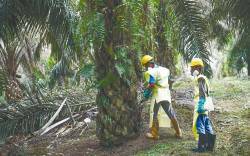 In a research note today, Maybank Investment Bank said the rotational play has started with investor now focused on medium and large-cap stocks, while third liners continue to pullback. “Technically, we expect the FBM KLCI to range between 1,620 and 1,640 today. Downside supports are back at 1,627 and 1,615,” it added. 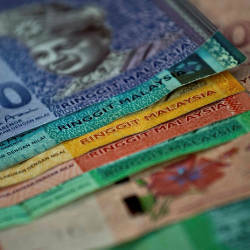 Of the heavyweights, CIMB added one sen to RM5.07 while Maybank, TNB, IHH Healthcare and Hong Leong Bank were flat at RM9.25, RM12.32, RM5.58 and RM20.10, respectively. Both Public Bank and Petronas Chemicals eased two sen to RM22.56 and RM8.88. 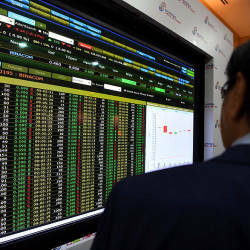 Of the actives, Seacera inched up half-a-sen to 31.5 sen, Dayang Enterprise rose two sen to RM1.36, Sapura Energy and Scomi were flat at 33.5 sen and 10.5 sen, Bumi Armada edged down half-a-sen to 19 sen and Prestariang declined 3.5 sen to 49.5 sen. The FBM Emas Index eased 2.7 points to 11,559.04, the FBMT 100 Index went down 5.22 points to 11,386.39 but the FBM Ace Index increased 6.5 points to 4,678.07. The FBM Emas Shariah Index shaved 7.92 points to 11,760.68, and the FBM 70 depreciated 27.21 points to 14,448.39. 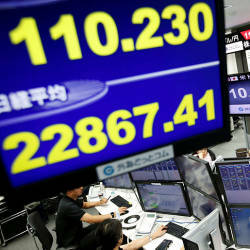 Sector-wise, the Financial Services Index improved 12.16 points to 16,840.58, the Plantation Index was marginally higher by 3.23 points at 7,274.82, while the Industrial Products and Services Index eased 0.11 points to 168.23.